The ToyotaCare Plus maintenance plan covers four maintenance services from the 30,000 mile interval through the 45,000 mile interval, as recommended in your vehicle’s scheduled maintenance guide for normal operating conditions. You will also enjoy 2 years of Roadside Assistance** when you take advantage of this offer. Act soon to help ensure you are covered for your 30K service. This great offer is only $329. A 30,000 mile service at your local participating dealer averages $264. ***Routine inspections are important…and covered. Multi-point vehicle inspection with every routine factory maintenance. Peace of mind plus maintenance coverage. That’s what you get when your vehicle has ToyotaCare Plus coverage. You’ll even enjoy the bonus of 24-hour Roadside Assistance. For Mirai Fuel Cell Vehicle owners, see brochure for exclusive benefits and coverage options. See Your Service Advisor For Details! Coverage includes oil and filter changes2, multi-point inspections, tire rotations, and any additional services covered by your vehicle’s schedule maintenance guide. Available before or after financing. 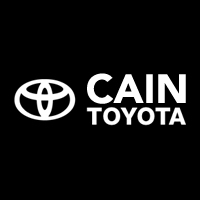 *Retail price of 2-year plan covering four services at your local Toyota dealer averages $500, based on mystery calls/Toyota Owners Online Management System (TOOMS) placed in January 2013. combined with $200 value of Roadside Assistance, total value is approximately $700. **Roadside Assistance is provided through Agero, Inc. a Cross Country Group Company. ***Average 30K price based on mystery shop calls/TOOMS in January 2013 to Toyota dealers in your local area. ToyotaCare Plus is offered through your participating Toyota dealership and Toyota Motor Insurance Services, Inc. Please note this is a corporate communication from Toyota Motor Sales, U.S.A., Inc.
1Coverage is effective from the vehicle’s date of first use as a new vehicle and expires at selected plan’s year or mileage limit, whichever occurs first. 2The use of synthetic grade engine oil may be indicated for your vehicle. Synthetic oil may require changing less often. Consult your vehicle’s Scheduled Maintenance Guide for factory-recommended oil grade and service intervals. 3Coverage of major and minor services varies by plan purchased. 4Does not include parts and fluids. See roadside assistance plan for more details, including limits on towing distance. Details are different from limits. One does not suggest any qualification or limitation on the availability. 5Toyota vehicles are eligible for these plans if the vehicle was eligible for the no cost 2yr/25k ToyotaCare and if the odometer reads 31,000 miles or less, and is within 37 months of date of first use. Date-of-first-use is when your vehicle is retailed as new with less than 799 miles.